Last week, I had the honor of being invited to Necker Island, Sir Richard Branson’s private island, for a mastermind called “Change Makers and Rule Breakers”. 34 entrepreneurs, investors, and innovators from around the world came together to learn, connect, and inspire each other to create more robust and meaningful change on the planet. Before the week, I wasn’t exactly sure how much time I would, actually, get to spend with the man himself, but I was pleasantly surprised to connect every day, either on the tennis court, at dinner, during the entrepreneur sessions, and even watching the FA Cup Final in his private home. We talked about healthcare costs, reversing disease, and the potential of our community to impact medicine around the world. I learned so much during the week, not just from Sir Richard, but all the other participants. Here are the five key learnings that are most relevant to our physician and practitioner community. This might be a little bit cliché considering this is the #1 thing many associate with Sir Richard. During the event, we had a chance to find out more about the progress of some his innovative projects, from for-profit ventures like Virgin Galactic to impactful non-profits like The Elders and The Carbon War Room. What should practitioners take from this? We are on the precipice of a sea change in the way non-communicable disease is treated in the medical system. 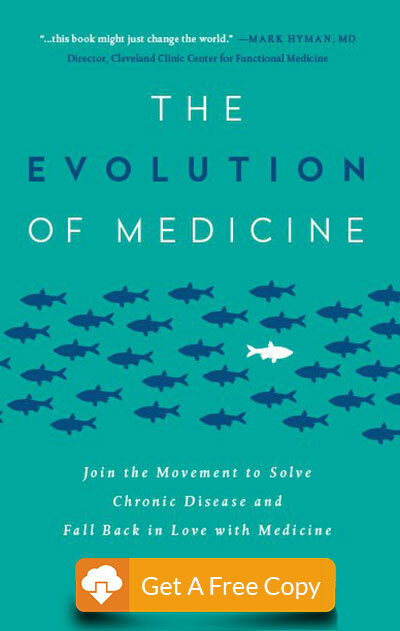 The grand convergence of unsustainable costs, genomics, new research, digital health, and value-based payments are providing a unique aperture for those trained in integrative and functional medicine to have a massive impact on the future of medicine, not just in America, but in every country around the world. 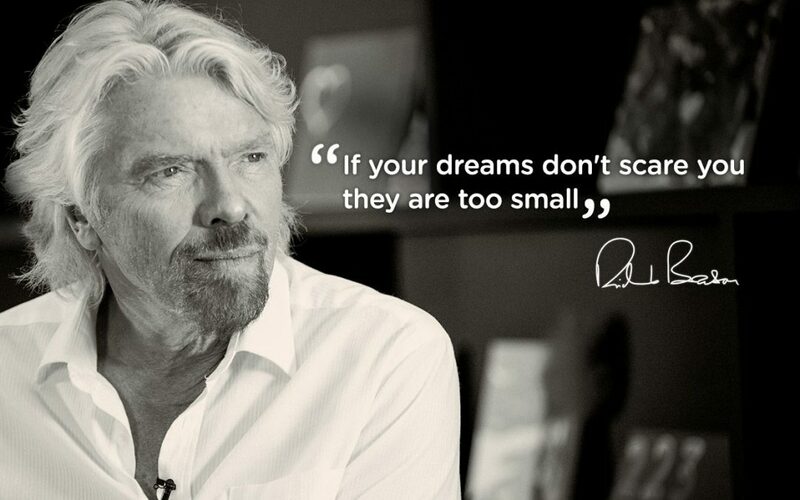 It’s a massive problem, so how big do you want to dream? This skill lies at the heart of the medical profession, but in the era of industrialized medicine and seven-minute visits, it has the potential to be lost in a sea of bureaucracy and bad technology. Sir Richard was never more forceful about anything during the week than the role that listening has played in his success as an entrepreneur. Listening to customers, listening to employees and listening to partners and stakeholders. One of the reasons I’m passionate about integrative and functional medicine is that it prioritizes listening as a core part of the therapeutic partnership. How do you make time to really listen to every patient? As a perfect complement to listening, Sir Richard recommends delegation. His strategy has always been to hire great people who are better than him at a specific role and delegate responsibility, early. To me, this is a key learning for the modern practitioner. In the first era of Functional Medicine, the practitioner played four roles: listener, doctor, coach, and educator. In the second era, which of those can be delegated? Some of the more efficient models we are see flourishing involve delegating some of these roles to either other providers, technology or both. My doctor, Dr. Robin Berzin of Parsley Health has her team of health coaches working with her patients between visits via a HIPAA-compliant telemedicine platform. The doctors in our 60 Day Practice Accelerator are automating their patient education through an email auto-responder. Delegation is a key skill for any practitioner to master, and if done well, it can be a win for the patient, the doctor and the health care system. One of the stories that Sir Richard told during his Q&A that made the biggest impact on me was about recent negotiations between Delta and Virgin. Having had the lawyers from both sides negotiate the deal, at the last minute Delta came to Virgin to remove a clause that would have been very much to their benefit, but they deemed ‘unfair’. Now, why would a public company with a fiduciary responsibility to maximize profit mention this at all? The answer is that they want a long term relationship with Virgin and saw the advantage of securing benefit long term over maximizing in the short term. The implications of this extend to many different areas, but I can’t help make the connecting between payment models in modern practices. Fee-for-service care (which maximizes income in the initial stage of the encounter) may seem best, but emerging trends seem to show that membership based models actually help practices maximize the value in the longer term. This is exactly why we scheduled our first event, “Building Your Membership Based Functional Medicine Practice” later this Summer. Less important than something Sir Richard said, it was how he showed up in the world that was most impressive. Not only is does he eat well and exercise often, playing tennis twice a day and kite surfing, but he, also, loves pranks, laughter and the company of his community and the change makers and rule breakers invited to his island. As the price of genomic testing comes down, we are now able to see very clearly the impactful role of relationships and community on gene expression and health outcomes. How strong is the community around your practice? What do you model for your patients? How about your relationships with other providers? How can you show up bigger in the world? It was such an inspiring week and I want to thank our practitioner community for supporting our organization to create this opportunity for me. The relationships and connections made on the island will catapult this movement forward… watch this space! As ever, we can’t achieve our goals as an organization without you achieving yours, and so it’s the action taken from this that will determine its impact.